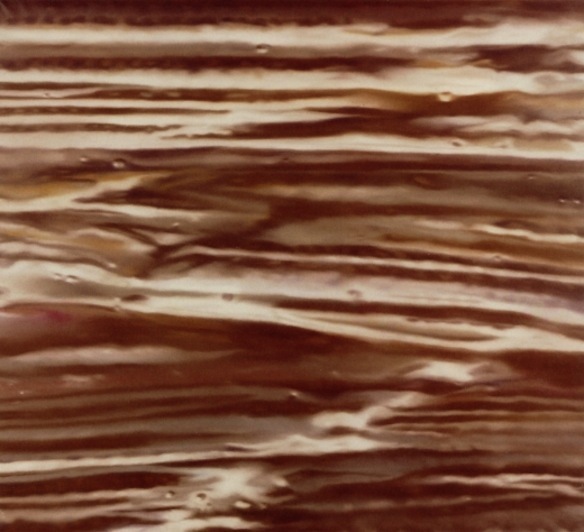 The relationship between painting and photography lies at the heart of Gerhard Richter’s practice, from paintings made from found photographs to photographs of paintings made from, yes, photographs, this is territory Richter has explored more thoroughly and from more directions than perhaps any other artist. 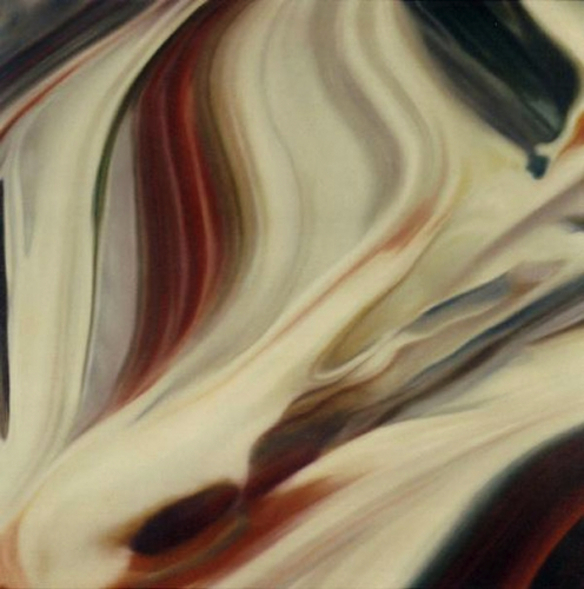 The Detail paintings, started in 1970, explore the nature of painting and the way in which we so often experience the complexity of the painted surface rendered smooth as a photographic surface. In these paintings, Richter has taken small details from paintings made with a heavy impasto and reproduced these, massively enlarged, as smooth painted surfaces. In Detail (Red-blue) a small area of heavily textured paint is represented as a three metre wide painting. The work is interesting in different ways. Firstly of course, there’s the fascination that comes from the flattened representation of texture and the way the work blurs the coundaries between painting and photography. This is work that starts and finishes with paint but which relies on photography in the making. But there’s also the way the sheer scale of the paintings makes it hard to see them as brushstrokes; instead, the images almost become somewhat abstract landscapes. In part this is because we’re more used to paintings on this scale being landscapes or abstract works. While the Details are quite abstract in appearance, ultimately they are representational; counterintuitively, the abstraction comes in the photographic part of the process. 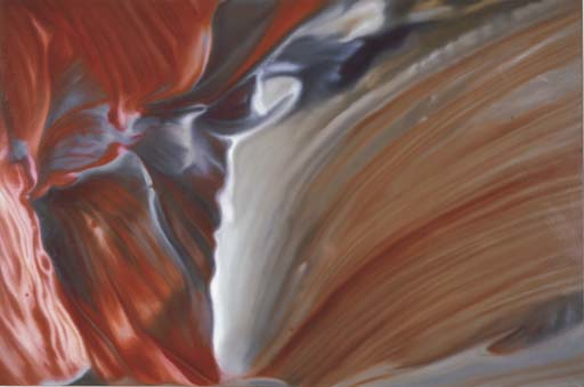 This entry was posted in Painting, Photography and tagged art, Ausschnitt (braun), Ausschnitt (Kreutz), Ausschnitt (rot-blau), Detail (Brown), Detail (Kreutz), Detail (Red-blue), Details, Gerhard Richter, painting, photography by Ann Jones. Bookmark the permalink.